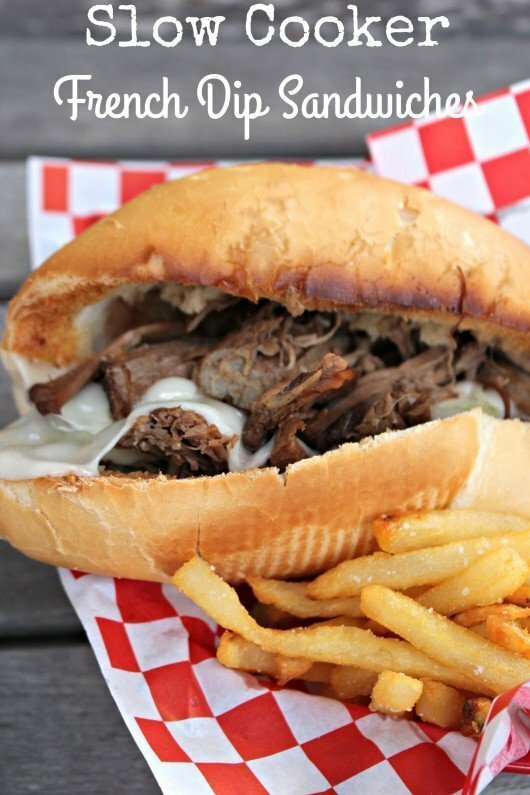 This super easy french dip recipe will make you swear off restaurant french dip sandwiches forever! You make the meat for this french dip in your slow cooker. 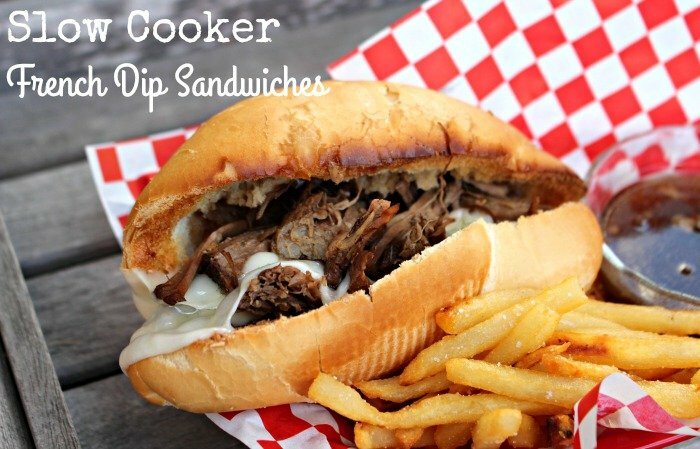 This results in the most flavorful and tender french dip meat you have ever tasted! 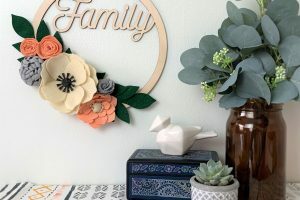 You have to try this recipe…today! These are so tasty. Full of flavor! There is nothing quite like coming home to a warm, toasty and cheesy sub at the end of a long day. The best part of this recipe is that it makes a TON of meat. Enough to feed a party, OR enough to freeze for multiple meals! Experiment with the seasonings on this. I make it a bit different every time. I usually like to use tomato paste instead of ketchup, but the ketchup does the trick in a pinch. About 30 minutes before you want to eat your dinner, pull the meat out and shred it. At this point, taste the au jus and see if it needs more seasoning (mine needed a bit more salt). Return the meat to the au jus to continue to cook for around 30 more minutes. When it’s time to eat, add some beef to each roll (a good generous amount!) and top with provolone cheese. Put it under the broiler until the cheese is melted. Serve with au jus for dipping. This made enough for 3 whole meals for us. We ate one that night and I froze the remainder of the meat in 2 separate quart freezer bags for 2 more meals!